The Dri-Eaz Rover Motorized High Volume Extractor (HVE) will change the way you think about extraction. With a 2-speed switch, this motorized extraction machine allows the user to extract at the pace that the job dictates. For heavily soiled or wetted carpets, extract at a very slow speed for maximum recovery. For low knap or lightly wetted carpets, extract at a much faster pace. The 45' foot power cord and extraction hose follow behind the machine, so they are always out of the way. The Dri-Eaz Rover HVE motorized extractor has a patented recovery head design that uses replaceable polymer glide with a smooth, snag-resistant edge that easily rides over the carpet and maximizes extraction. A clear pick up tube allows the user to visually see what is being extracted from the carpet. The Rover HVE must be used in conjunction with one of our flood water extractors, but you may have the best success with our flood water extraction machine. The flood extractors continually pump out the recovered solution, so there is no starting and stopping when used in conjunction with the Rover HVE, just continual extraction! Separate drive wheels allow you to move easily around corners and in tight spots. 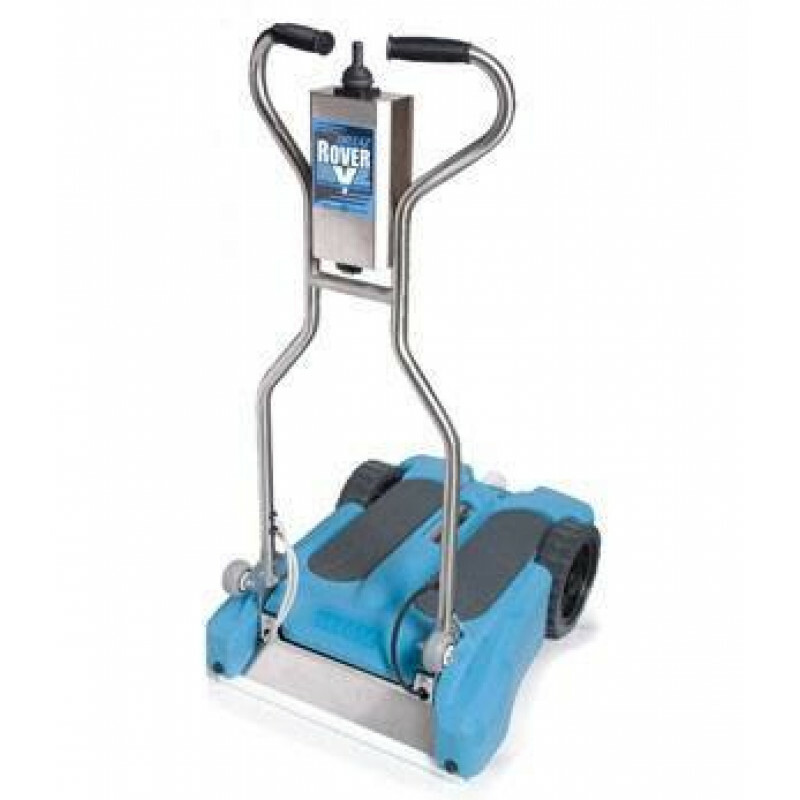 Replaceable polymer glides seal firmly over all types of carpet for the deepest extraction. The joystick which controls the motion of the motorized extractor, is rated for 5 million cycles. Collapsible handle for space-saving storage and ease of transport. Front loading wheels make the unit easy to transport and store. Extraction can be visually monitored through the clean pick-up tube. 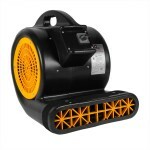 This is a review for the Dri-Eaz® Motorized High Volume Extractor (HVE).